“Freemium” is a business model that works by offering a product or service free Will of charge (typically digital offerings such as eBooks) while charging a premium for advanced features, functionality, or related products and services. The word “freemium” is a portmanteau* combining the two aspects of the business model: “free” and “premium”. Thanks Wikipedia. Freemiums are Online a great way to promote a law firm. A potential client visits your blog and is greeted with an offer of cómo an essential report for free. And why would you do that? Because you must capture the client’s email address in order to provide the free report. This allows you to follow up with the potential For client, and the report with all your contact information remains in the hands of the potential client so he or she can contact you when ready. Clients shop for attorneys. Hopefully your website will be enough You to generate a call, but that may not seal the deal. On many occasions a potential client has called, I’ve wowed them with my fount of knowledge, and sent them back to my assistant to schedule an appointment. A few minutes later, the phone rings again, and it is the same client calling to discuss the case, not realizing she is calling the same firm. She is just working her way down the Google results and calling every attorney she finds. A freemium can distinguish you from the pack of attorneys clients are going to call. Most attorneys I discuss this technique with have never considered using a freemium as a marketing tool, and can’t even envision how they would do so. Of course, whether the freemium approach is suited to your firm will depend cheap nfl jerseys on the cheap jerseys nature of your practice, but I can’t imagine too many circumstances where it would not work. A bankruptcy attorney could offer the report, “Ten Things You Must Know to Survive a Bankruptcy.” I’d want that report. A probate attorney could provide, “Five Steps to a Painless Passing.” Okay, that’s sounds a little macabre. I’ll have to work on that one, but you get the idea. Needless to say, the report should provide valuable information. I’ve occasionally download a free report and found that cheap nfl jerseys it offered no information but rather was just an ad for the service being offered. Irritating your potential client is not an effective marketing technique. She then provides a link to a page that required Debt? me to give my email address, and a few seconds later her report was in my inbox. I considered just providing the link here, but she may want it to be a reward for following her on Twitter, so that would blow the whole deal. The report is very good; one of the best freemiums I have ever received. If I had paid five bucks to put this on my Kindle, I would have considered it money well spent. Ms. Bullock does tweet A LOT but she seems to be providing very good suggestions for Internet marketing from what I have seen thus far. Be sure to follow her on Twitter (@lilachbullock) to get your copy. Speaking of Twitter, be sure to visit Pay With a Tweet. You offer your freemium in exchange for a tweet about it. I haven’t tried it, but it sounds like it could be a great way to build some buzz. * And thanks Wikipedia for the word of the day. “Portmanteau” – a word or morpheme whose form and meaning are derived from a blending of two or more distinct forms (as smog fromsmoke and fog). I’ll be sure to work that into my next brief. 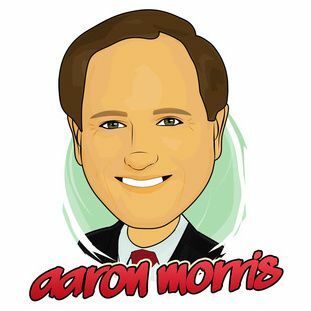 Tags: Aaron Morris, Freemiums, Law Firm Marketing.